When it comes to your home plumbing, you probably never give it a second thought until you are forced to due to something not working right. 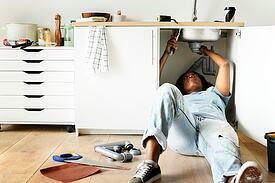 Plumbing issues can range from seemingly minor problems to major emergencies that can't wait to be fixed. All in all, it's best to be ready for whatever may come your way and to take a preventative angle and an emergency preparedness angle. That's why we've created this guide to 9 frequently asked plumbing related questions and their answers. 1) How Do I Avoid Water Damage? Inspect tiles to see if any are missing or cracked. Check grout areas to see that the grout is not missing. Water can seep behind tiles and damage the wall if tile and grout is not in good shape. Don't let water sit in the tub. Standing water can find ways to get around a faulty drain. Check out caulking around tubs and showers and replace or repair any areas that may allow water to seep through. Dry the floor immediately after bathing or showering. 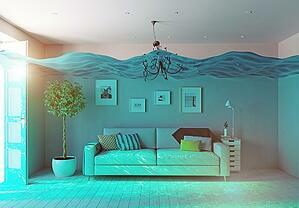 Don't let water sit on the floor. Use the exhaust fan to pull moist air out of the area. Keep the room as dry as possible. These are exposed to moisture every day. Inspect them often to see that there are no leaks or moisture issues that might cause problems. If the trap has a leak or any moisture around it this could indicate a problem with your plumbing in Chico. Somewhere in the system there has to be excess moisture. Get this looked at. Any drips from faucets need to be repaired. Small leaks lead to larger leaks and bigger problems. Check seals and grout around sinks also. If they are cracked, broken or simply missing replace or repair them. The seal on the bottom of the toilet needs to be inspected regularly. If you see water near the base of the toilet have the seal replaced. Make sure the tank does not leak. If you hear the tank filling for no reason you know there is a leak. This constant water drip can cause damage to the toilet and any others near it that stay wet. Check water lines leading to the toilet. These can often leak and cause damage if left unchecked. Water leaks in the bathroom are often hard to detect since most of the pipes are in the wall. Check the walls for soft spots and discoloration. Inspect adjacent rooms to the bathroom. Water and moisture detected in these areas could indicate a problem in the bathroom. If you have a two story home check the ceiling areas under second story bathrooms to see if there are any issues. 2) What do I do When a Pipe Bursts? Assess the burst and the surrounding area to the best of your ability. If the pipe burst has occurred on an upper level, see if the water has already moved (or can move) to a lower level. Turn off the electricity to the affected regions of your home. You cannot be “too safe” with this step; the combination of water and electricity can cause shocks, electrocution and even death. So if you're uncertain, shut down all the power. Take photographs of the damage. Naturally, you want to get to work. But take a few minutes to take pictures or take pictures as you work. You will need them when you submit an insurance claim. 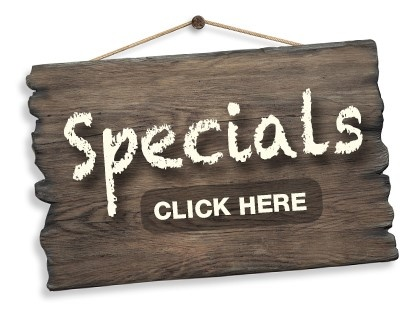 >> Contact a Chico Plumber Today!! Call for plumbing help if you need it, whether it be from the Experts or, for a leak contained to one room, a neighbor or friend. Without trying to alarm you, understand that you are now in a contest against the clock since mold can develop in as little as 24 hours. Open the windows for ventilation. If you still have electricity, turn on fans to get air circulating and reduce odors. Remove anything and everything that has been touched by water,including rugs, furniture and books. Get these wet items out of the house – don't just set them aside – so that you don't create more work for yourself later. Place wet items on a tarp in your garage or on the lawn. Use a wet vac to start removing the water. Depending on how much water has accumulated, this step could take a while; emptying the vac takes time, too. Keep at it until your efforts literally come up dry. Tend to wood flooring before carpet since it is now susceptible to warping. Check your flooring warranty for emergency care instructions. At the least, wood floors should be dried out thoroughly with fans. Pull back sections of waterlogged carpet and padding and train a high-powered fan on the area to dry it out. Run a dehumidifier to draw moisture out of the air. Clean vinyl floors with soap and water. If you fear mold or mildew growth, use bleach, too. Fill a 1-gallon bucket of water and clean ceramic tile with 1 cup of white vinegar and stone tile with 1 tablespoon of Murphy Oil Soap. Check your drywall for water damage. If the seams are still intact, the drywall should be fine. If the seams have swelled or separated, you will need more than plumbing help from the Experts; you will need new drywall, too. 3) What’s the First Step to Take When My Toilet is Overflowing? Lay some old towels on the floor, especially if there is a lot of water there, so that you don't accidentally slip and fall. Remove the lid from the toilet tank and set it down. Reach inside the tank and press down on the flapper valve – a rubber piece located in the bottom-center region of the tank. This move will stop water from flowing into the bowl and, by extension, from flowing over the sides, too. Lift up on the float to stop the tank from filling. The water level in the bowl should start to drop. After about a minute, the water level should return to normal; now you can let go of the float and let the bowl refill without worrying about it overflowing. But keep an eye on it, just in case. If the water level doesn't start to drop after about a minute, keep holding onto the float while you shut off the water at the toilet supply valve. This is where things can get tricky, but not for long: the valve is usually located near the floor or on the wall behind the toilet. Turn it clockwise to close it. If you cannot hold onto the float and reach the valve at the same time, release the float and close the valve as quickly as you can. Test the other plumbing fixtures in the bathroom to see if they are working as they should. 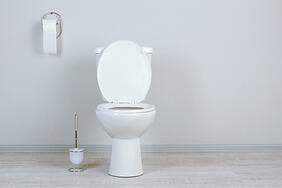 Check the other toilets in your home to see if they flush properly. A toilet can overflow for several reasons, including: a problematic septic field (if your home is on a septic system); a blocked trap, an S-shaped device located between the bowl and the drain line which is supposed to keep the drain from clogging in the first place; a clog in the pipes inside your home; a clog in the pipes leading outside your home, including the main sewer line, which can be disrupted by the root systems of trees; or a low-flow toilet, which generally means older models. Most often, toilets overflow because they are unable to process a foreign object (such as a children's toy) or an influx of material (such as tissue). Call Experts in Your Home for Chico plumbing help the minute you encounter anything troubling or suspicious. You're probably not a licensed plumber, but we have a crew of them waiting to help diagnose and fix any plumbing problem in your home. If only one toilet is affected, chances are that it is blocked. And you can attempt to unclog it yourself. Place the cup of a toilet plunger at the center of the hole in the toilet bowl. Exert slow pressure at first; then gradually increase the pace and pressure of your movements until the clog is dislodged and the toilet flushes freely. Clean up large amounts of water with a wet/dry vacuum. Old towels should suffice for smaller spills. Ensure that you dry out smaller spills. Ensure that you dry out any soaked areas – and disinfect them with bleach – so that you don't develop a mold problem. 4) What Quick Fixes Can I do for a Clogged Pipe? A clogged toilet is generally a big mess and not fun to deal with. The easiest way to unclog a stopped up toilet is with a plunger. Make sure there is enough water in the toilet to cover the head of the plunger or it won't work correctly. If there is not enough water add water by using a bucket or other container. Don't flush the toilet as it might overflow. The back and forth action of the plunger may cause the clog to break loose. If not, you can try a plumber's snake but be warned this will be a very messy job. Kitchen sinks are usually stopped up by grease that has cooled and expanded in your pipes. That grease then catches other particles and adds to the problem. The best way to prevent problems with your kitchen plumbing in Chico is to keep the sink from getting clogged in the first place by not putting grease down the drain. Once clogged a plunger can be used to try and unclog the drain. The plumber's snake can again be used as it might easily clear the pipe. Again, Drano or something similar can be used, but be very careful using any product such as this. Your bathtub will probably have the same issue as the bathroom sink, hair. Pull off the grate that covers the drain and try the same things as you would with a bathroom sink. This will hopefully work and keep your bathroom plumbing in Chico working efficiently. If one of the larger pipes in your home is clogged this might be a bigger issue. A plunger and the plumber's snake can be tried but the clog might be more than these can handle. Drano is a real issue here also. The amount of substance you have to pour in your system to unclog the drain might damage your pipes. You might be forced to call a plumber. 5) What are the Warning Signs My Plumbing May Need Repairs? 6) Should I Fix a Leak Myself? Before you attempt to fix any plumbing leak yourself there are a few things you might want to keep in mind. Knowing these could save you from a plumbing disaster. Know where the main cutoff valve for the water is to your home. If something goes terribly wrong you will at least be able to cut the water off until help arrives. There are devices you can hook up to your plumbing system that alert you when larger amounts of water are being used. These will even cut the water off for you if very big leaks occur. You can put individual cutoff valves around your home to isolate some areas. In this way you don't have to turn off the water to the entire home. You will have to judge the size of the leak. If it's too large just call a plumber. Below are a few things you can try if you have a plumbing leak. 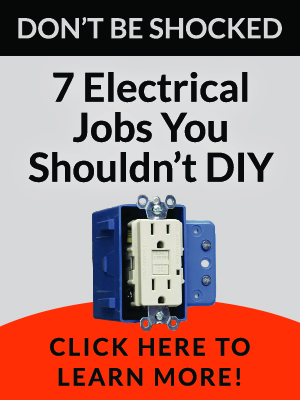 These are not hard and could save you from a large repair bill. 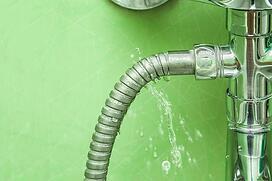 Again, inspect the leak and determine if a DIY fix is in order. There are several kinds of tape that can be wrapped around a small leak. Duct tape and electrical tape can be used. Take care to cover the entire leak. Also, make sure the tape makes good contact with the pipe so no pockets form where water can gather. This might cause the tape to lose grip. This material works best at joints and fittings. Before applying it to the leak make sure to drain the water, dry the pipes and clean the area with steel wool. Epoxy makes a very tight seal. Make sure your clamp is the correct size for the pipe. Wrap the leak area in a rubber pad first. Screw the clamp over the rubber pad. This method will also help stop larger leaks, but if the leak seems out of your control it’s best to just call a plumber in Chico. A hose clamp works the same way as a pipe clamp but it is used on smaller leaks. Again, wrap the leak with a rubber pad and screw on a hose clamp, or even several, over the rubber pad. A c-clamp and a small block of wood can be used to stop a small leak. A small rubber pad needs to be put over the leak to start with. Then a small block or strip of wood is put over that. The c-clamp is used to hold it all in place. The block of wood protects the pipe from the pressure of the clamp. If a faucet is leaking, this can be a little tricky. It might be stripped and you will have to replace it. Unscrew the faucet after turning the water off. Try some teflon tape around the threads. This might stop the leak. If you are uncomfortable trying these repairs on your own you can always call a Chico plumber. 7) What is a Tankless Water Heater? Tankless water heaters are much smaller – about the size of a suitcase – and so are less obtrusive than conventional water heaters. But they also offer a limited flow of hot water per minute and cost more upfront – issues you might be able to reconcile in the long term. Your water heater is like a reservoir – storing between 20 and 80 gallons of water at a time and delivering it when you turn on a hot water faucet. It releases this hot water from the top of the unit; to replace it, cold water enters the bottom so that the tank always stays full. The operation sounds logical enough until you consider that water is constantly heated in the tank – even when a hot-water faucet in your home hasn't been turned on. The result is what the U.S. Department of Energy refers to as “standby heat loss” – a wasteful condition that costs you money every month. 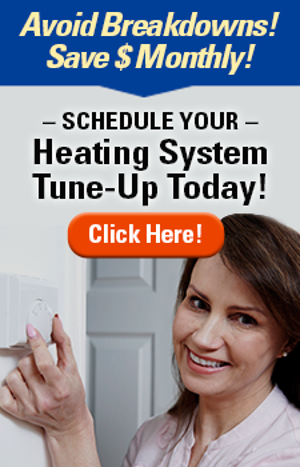 You can insulate your water heater to stem some of this loss – or the Experts can do it for you. But a tankless water heater sidesteps this problem even more effectively. Let a Chico plumber from Experts in Your Home help you decide if a tankless water heater is right for you and your home plumbing. 8) Where is the Water Shut Off Valve for My Plumbing? Do you, and really every member of your family, know where the shut-off valve is for the water supply to your home? Chances are the answer to that question is a big no! 9) Should I Tackle a Plumbing Job Myself? Do I have the necessary tools? While many of the tools a plumber uses are ordinary and common, there are several types of augers and plungers that are not. If you have to go out and buy any tools this may make the cost of your do-it-yourself job more than calling a plumber. Do I have the needed materials? When a plumber comes to your home to do a job they normally have most of the items needed to do your job in their work truck. Smaller pipes and fittings, faucets, valves and other common plumbing materials are carried by plumbers. You will probably have to run to the home improvement store to get all you need to do the job. This will take both time and money. Do I have the time to do the job? 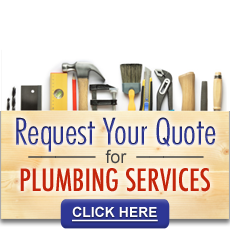 The plumber goes around fixing people's plumbing issues full-time. That's his job. You probably have a full-time job, so just when are you going to get around to fixing the issue with your plumbing in Chico? If it's an emergency you will have to take time off from work. Otherwise you will have to try to work on your issue after work or on the weekend. Can your problem wait so you can fix the issue in your “free” time? Do I have the skills to do the repair? There is a certain amount of skill required to be able to do some, or even most, of the things required to repair your plumbing. Taking things apart, fixing them and putting them back together is not something most people generally do. The amount of skill required to do your plumbing job might be beyond your reach. Do I have the knowledge to do the job? Even if you have just about everything you need to do the repairs to your plumbing in Chico, you will have to decide if you have the know-how to perform what needs to be done. Many plumbing jobs are very specialized. Changing out a toilet, fixing a leaking pipe or installing a new water heater requires specialized knowledge. Are you up to the task? Do I have the money to pay if I get it wrong the first-time? This may be the most important question of all you have to answer. You might turn a $300 repair into a $1000 repair if something goes wrong and you have to start the project over again. Be prepared to pay big time in case things don't go according to plan. 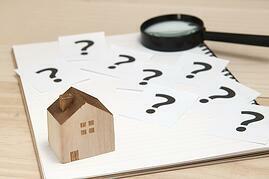 If you plan on tackling an issue with your plumbing in Chico, start by asking yourself the questions above. Be very honest with your answers and really think about what you are getting into. If you have any doubts don't hesitate to call a Chico plumber at Experts In Your Home for help. Plumbing is not an easy thing to fix and it generally requires special tools, knowledge and skills.